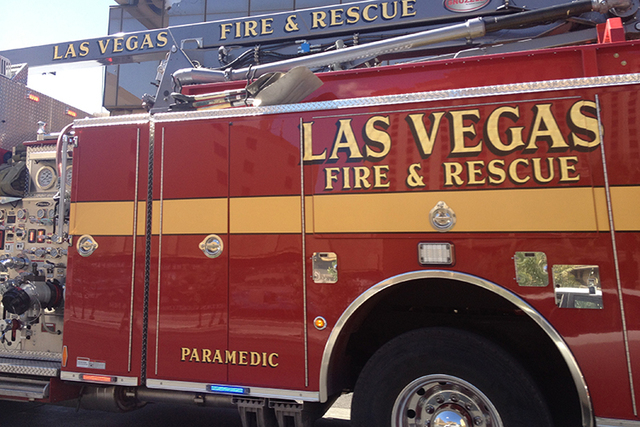 A fire leaves one adult displaced and causes property damage Sunday evening near Alta and South Torrey Pines drives, according to the Las Vegas fire department. The fire began in the backyard on the patio of a home on the 6300 block of Brandywine Way, spokesman Tim Szymanski said. The damages are estimated to be $75,000, Szymanski said. There were no reported injuries and the cause of the fire is unknown.